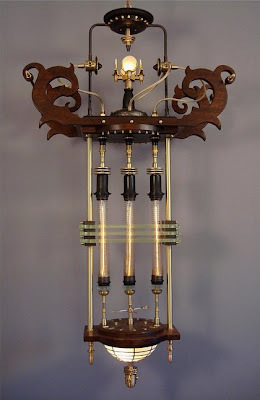 "Siddharhta Pod" made by Art Donovan. "Buchwald No. 7" made by Frank Buchwald. 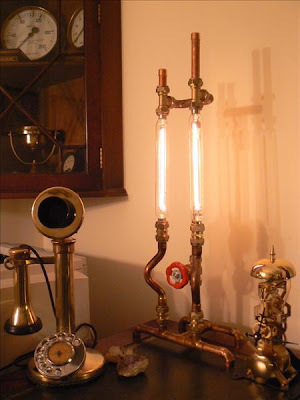 Copper Pipe Lamp made by Profesor James Fzz. His website and more photos in here. 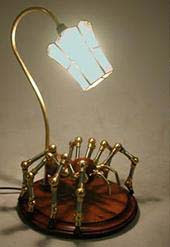 "The Spider" made by Benjamin Jones from Luminent Designs. 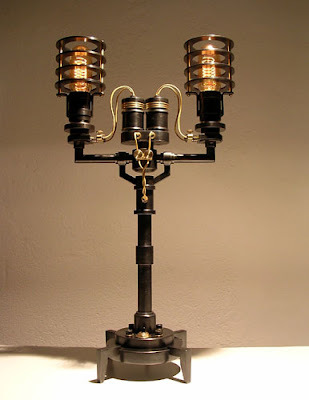 Buchwald's lamps are excellent indeed. 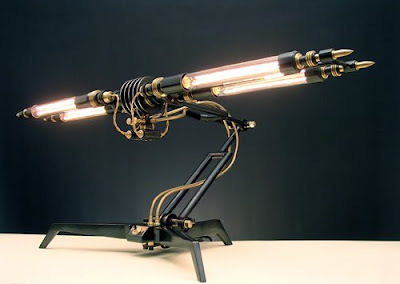 Every steampunk enthusiasts should own one! I'd never heard of this Benjamin Jones. Some pretty nifty stuff there!